ONE OWNER 54 years – a Mr Peter Bloomfield of Cambridge from 1957-2011 – car found derelict in a Herefordshire farmyard in 1957 – photos show – and he finally restored this fabulous car between 1995 and 1999, then enjoyed the car for only 796 miles before selling to the previous owner to the present owner. 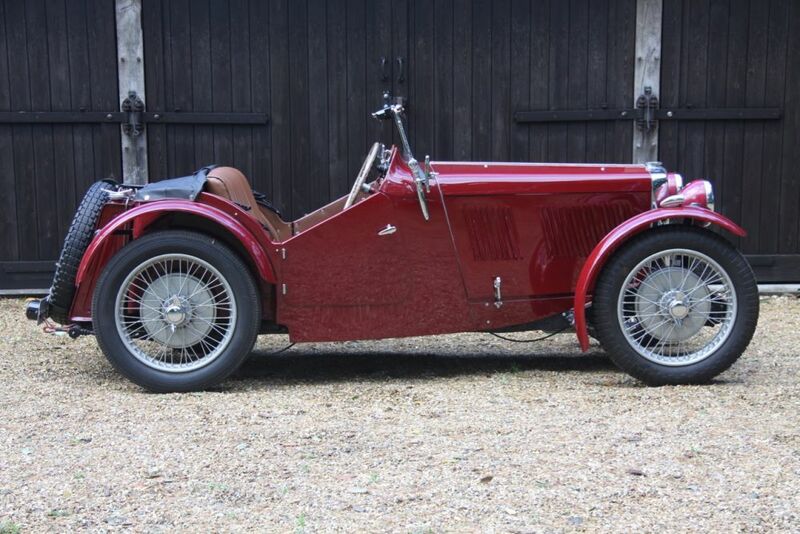 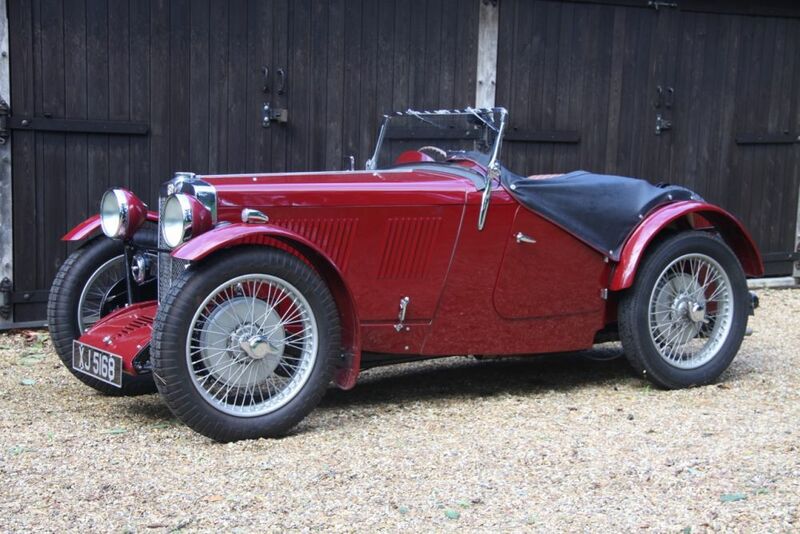 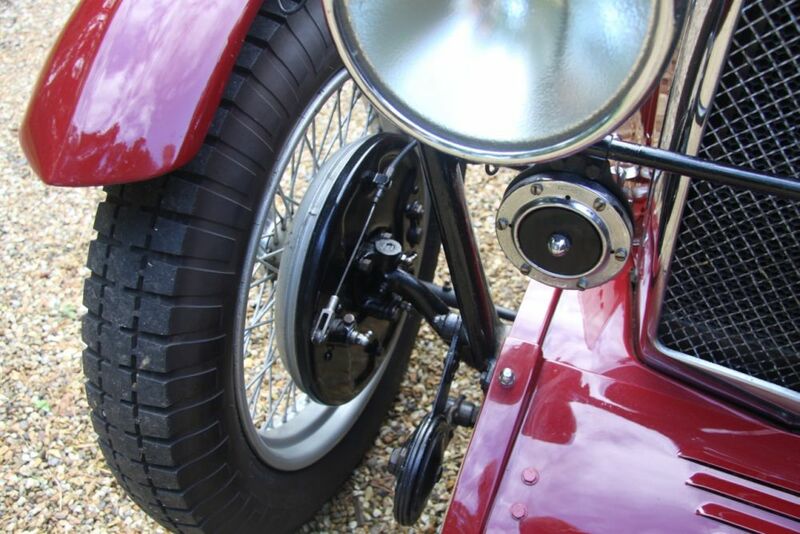 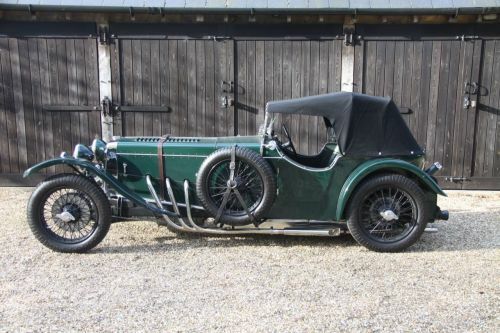 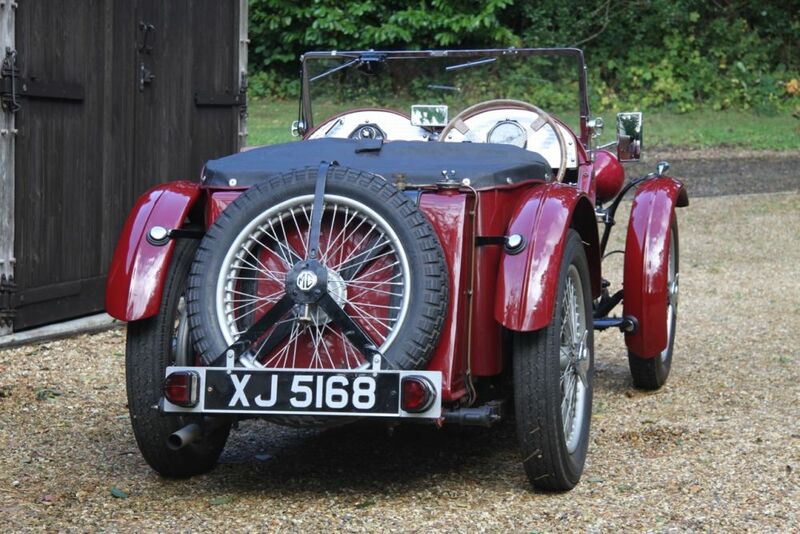 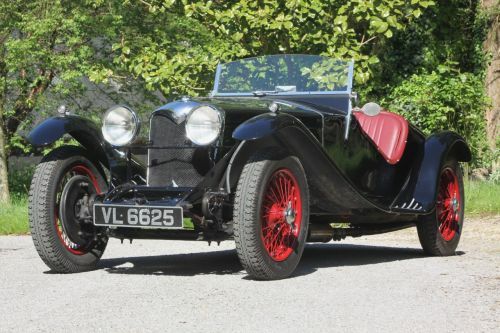 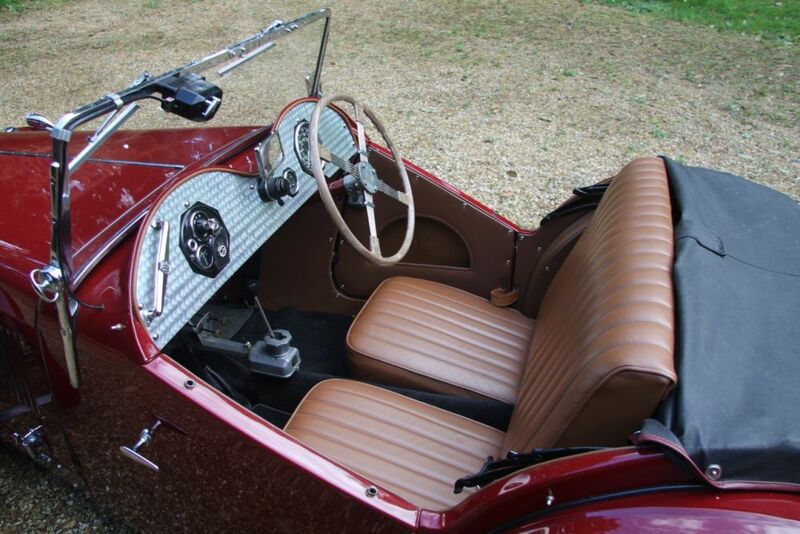 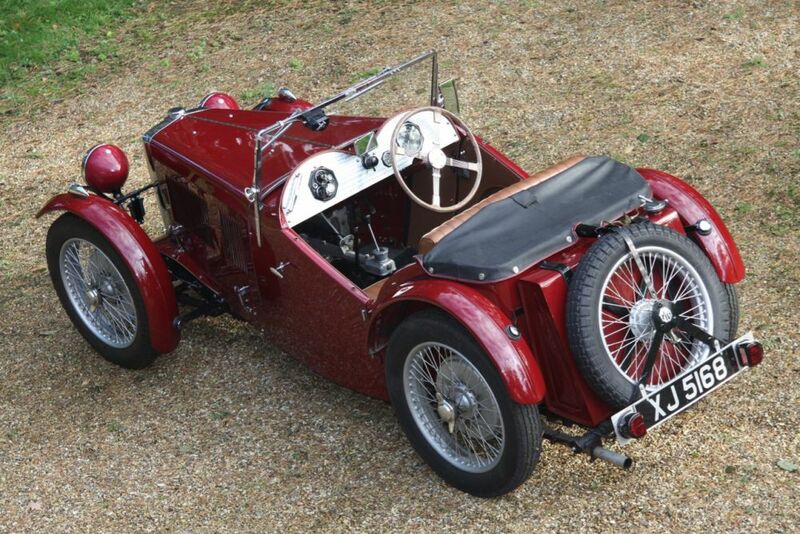 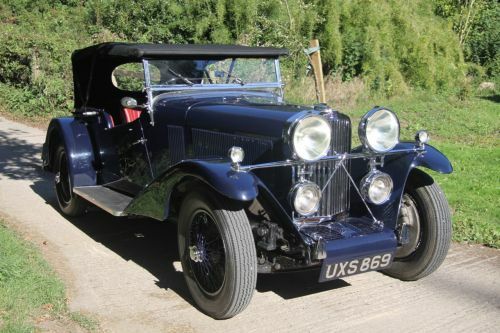 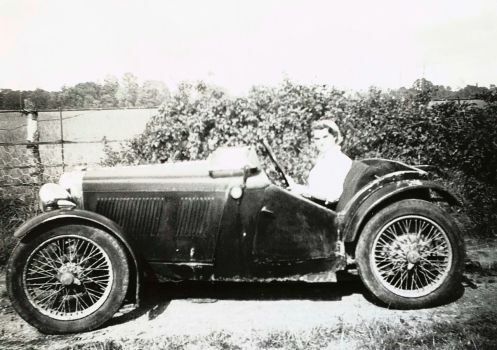 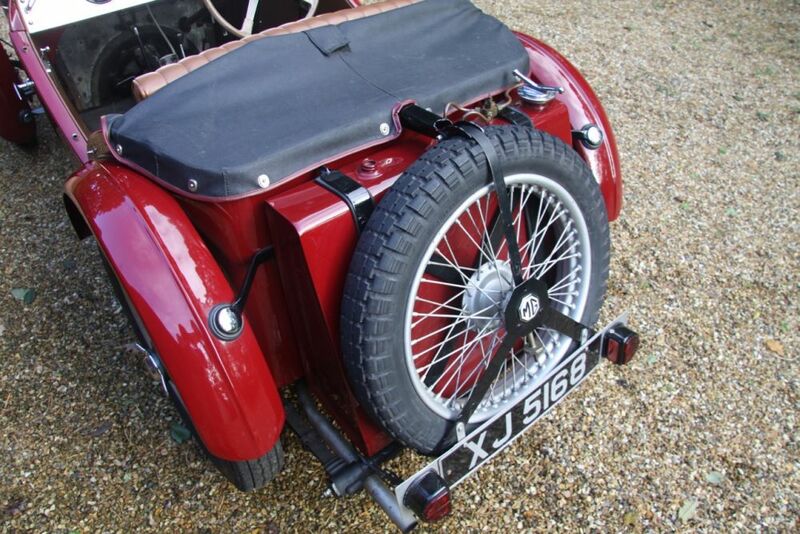 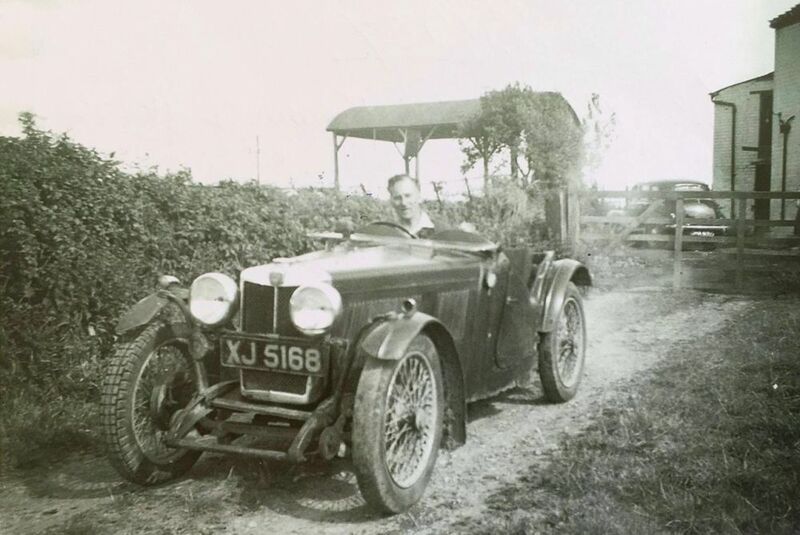 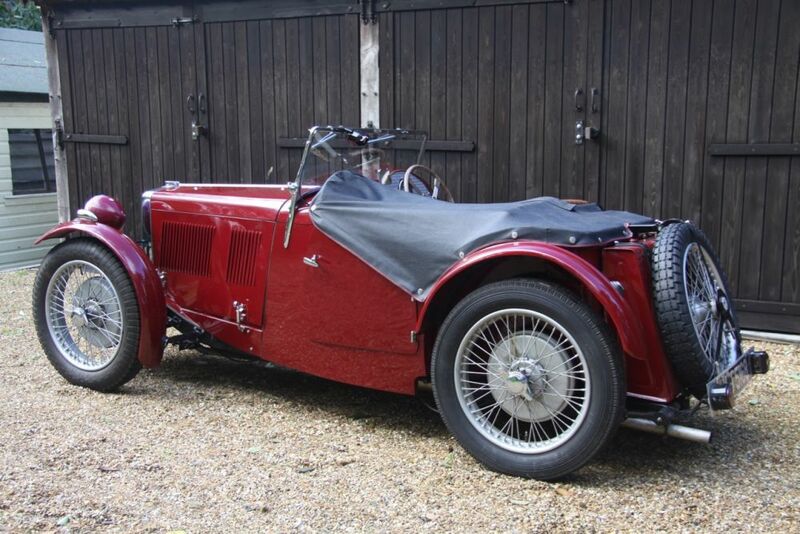 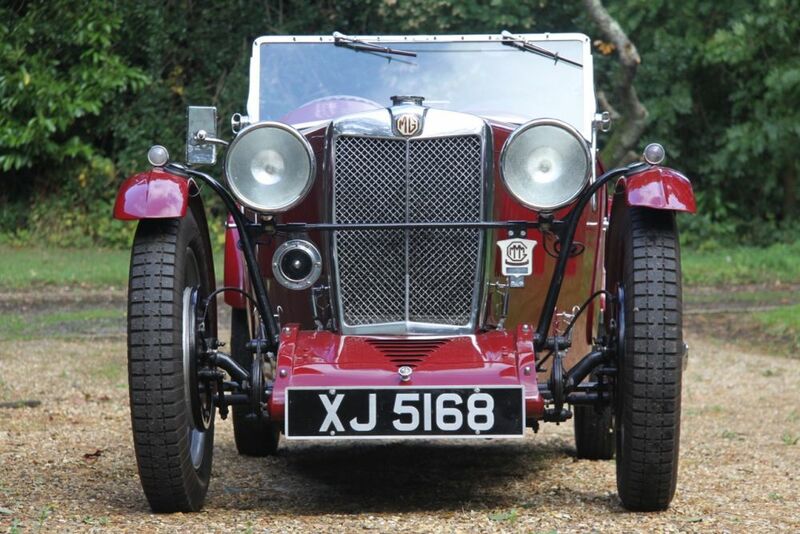 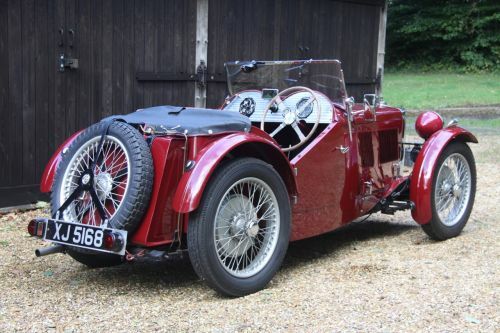 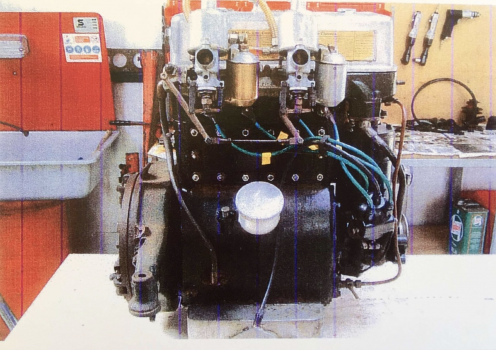 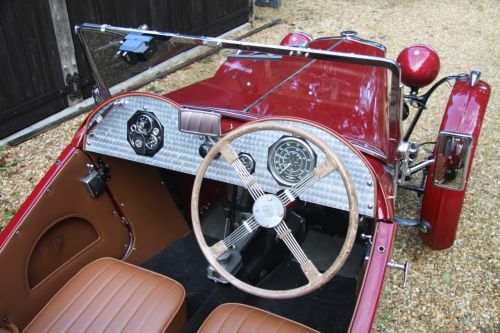 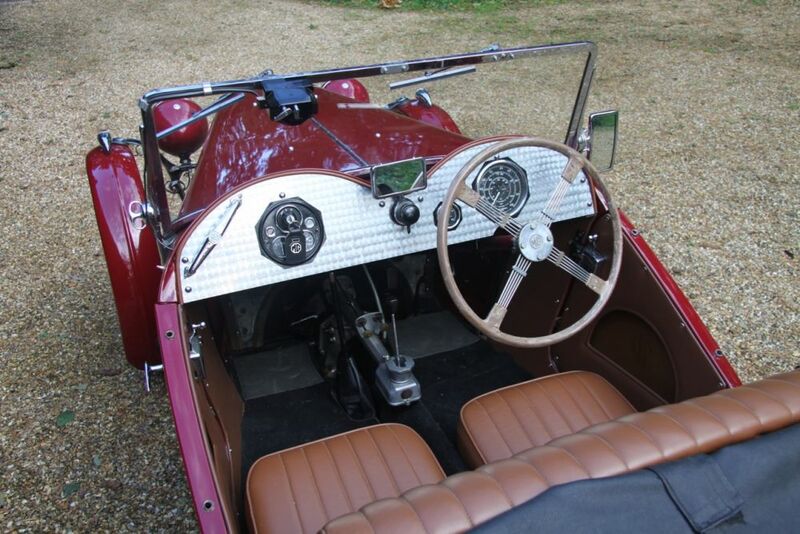 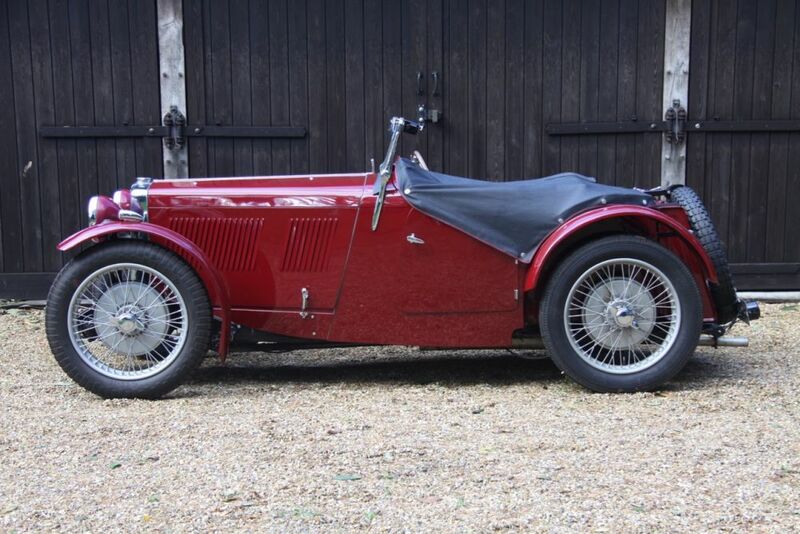 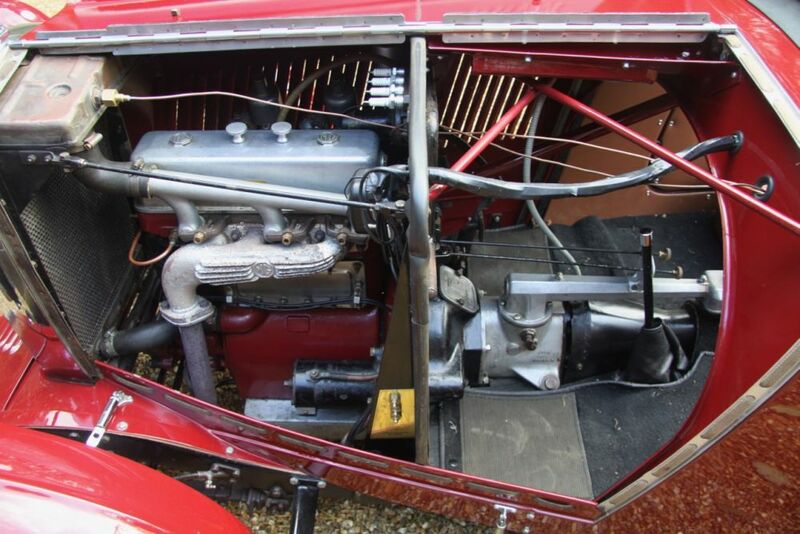 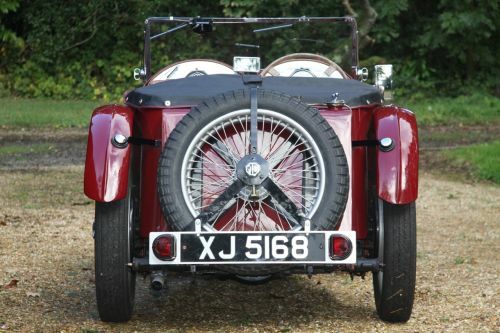 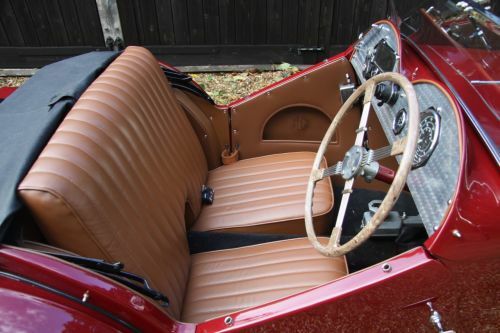 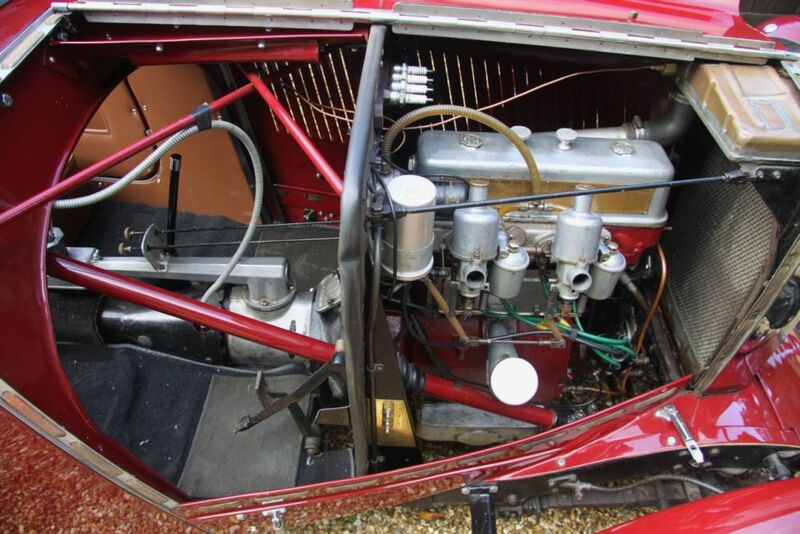 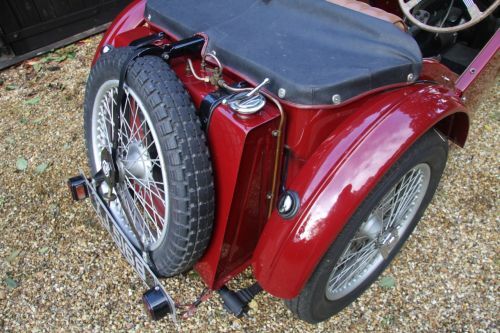 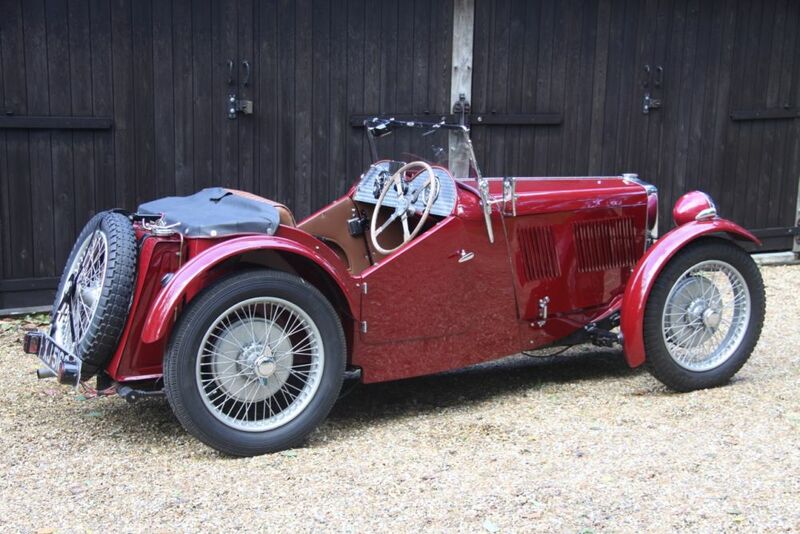 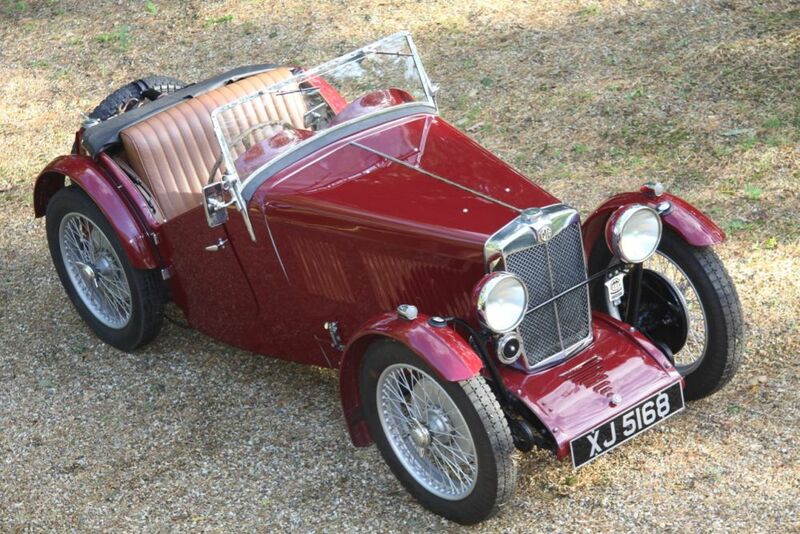 “The chassis was stripped bare – and the original scuttle, bonnet, cycle wings, petrol tank, radiator, and wheels have been re-used, as well as the running gear and engine. 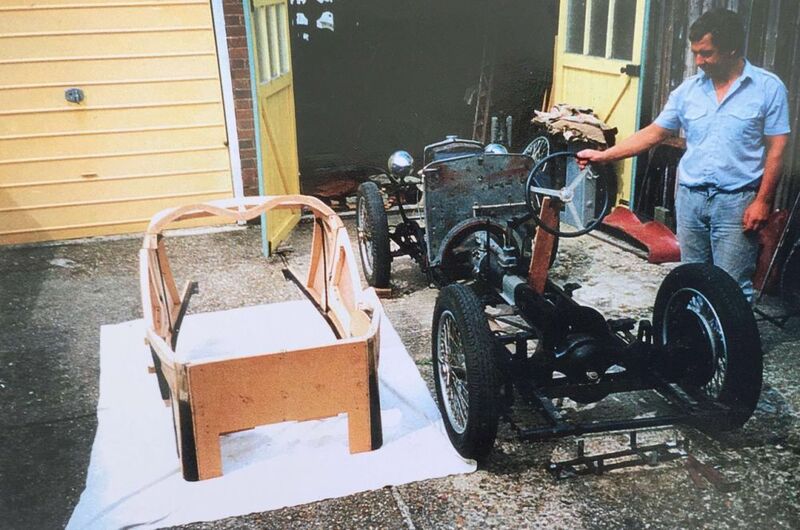 A new Ash frame was built – photo shows – and clad in aluminium.